Drum Brakes work by using friction caused by a pad or a shoe that press against a drum atttached to your wheel, slowing it down. 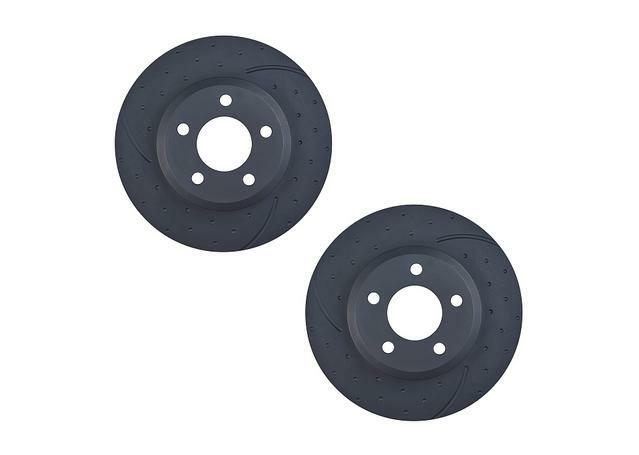 Usually confined to the rear of the vehicle, drum brakes are often used as your vehicles parking and hand brake, leaving the job of normal stopping to the disc brakes at the front of your car. While the drum brake are starting to appear on less and less modern vehicles, making sure you have effective drums on your vehicle can be crucial to the safety of yourself, your passengers and bystanders around you. An effective brake drum will provide safe braking on hills and bring you to a safe stop whenever you need to hit the handbrake, making them just as important as your front brakes in the grand scheme of things. As such, when it comes to replacing your brake drums, it will pay you in the long run to invest in a quality brand. Spares Box is happy to provide brake drums from one of Australia's leader in OE-replacement brake rotors and drums, DBA (Disc Brakes Australia). DBA have established themselves as one of the nations most trusted names in the Automotive industry, engineering and producing an outstanding range of braking products with a commitment to OE-levels of braking performance as a bare minimum from all their products. This means that investing in a set of DBA Brake Drums is bound to get you consistent, reliable stopping power with outstanding resistance to wear and fading over it's long service life. All DBA brake drums come in pairs to conveniently replace the drums on both sides of your vehicle, and are cast from the highest quality materials to provide the best balance between stopping power and durability. All of these DBA brake drums ocme at outstanding prices, and are made not only to fit a huge variety of vehicles, but meet the OE specifications of each specific vehicle a particular set is made for. All in all, investing in a set of DBA brake drums is a decision you can be confident in making, every time.